This entry was posted in Moving, Quote and tagged Boxes, Home, Leaving, Move, Moving, Musings, Packing, Quote, San Francisco, Saying Goodbye. Bookmark the permalink. ← Butch Basix T-Shirt Contest – WINNER! So nerve racking – I feel your pain having moved to Vegas last year. So much stress and worry. 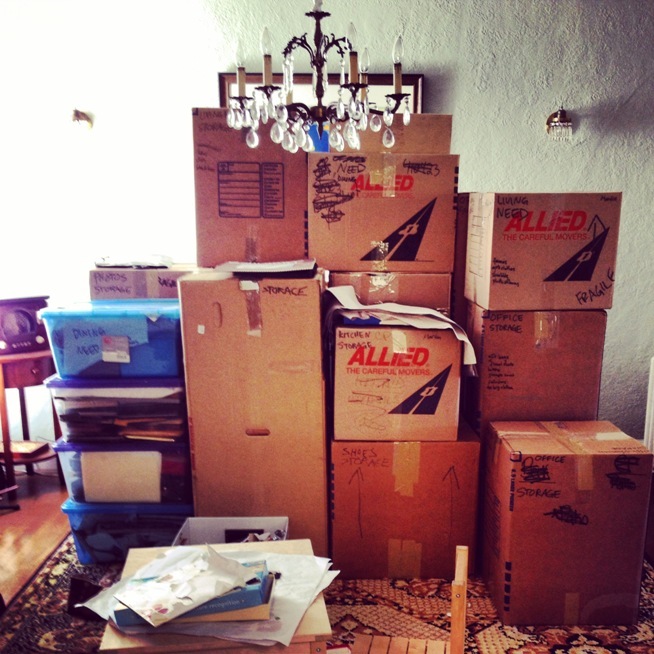 The boxes are a reminder of tough times moving.